Home / Shop / Merchandise / Buy a Bag for a Farmer!! The kids of the Walgett Community College Junior AECG and the Collarenebri Central School Junior AECG have come up with a small but powerful program for change that will help the farmers. Living in a community experiencing the worst drought in ten years can make people feel helpless and hopeless. We asked, What is something useful and practical that the students can do to make a difference in their community? Money raised from selling the bags for $5 each will be donated directly to the farmers. 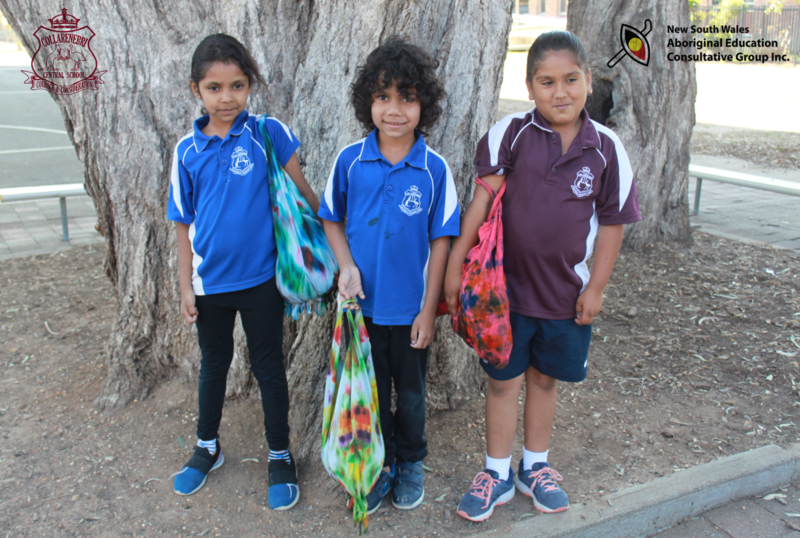 The aim of this project is to connect the children/students of Walgett Community College and Collarenebri Central School to the issues concerning their wider community. When they go to the local shop, they are reminded of the drought with prices of food rising. Linking this to the phasing out of single use plastic bags, the making of sustainable cloth bags from a T-shirt engages the students in finding practical solutions for fund raising in their local community. Help our young to help the farmers carry their load. Buy a bag today!